I have had may ideas and ambitions over the years, some of them (like this blog) I have managed to achieve but others haven’t yet come to fruition. One of these ambitions has been to write a book. Writing is a passion of mine, as is reading, and I have so much admiration and respect for people who have put their ideas into action and written a book. 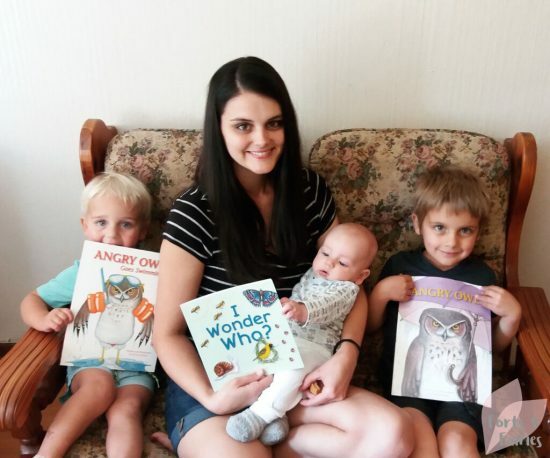 Kerryn Ponter is one such author, a local mom to three boys who has written and illustrated not one but three children’s books. 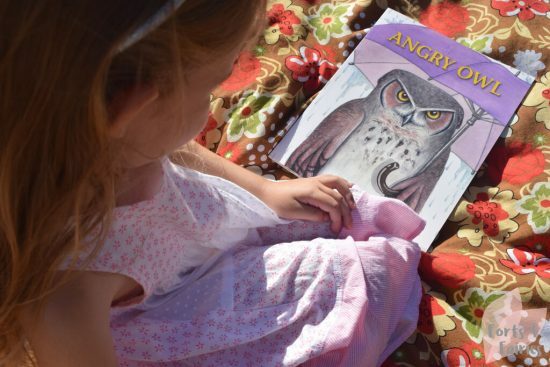 Her first two books, Angry Owl and Angry Owl Goes Swimming, follow the adventures of Angry Owl. They are humourous, but also with a lesson to be learned, and feature beautiful illustrations. 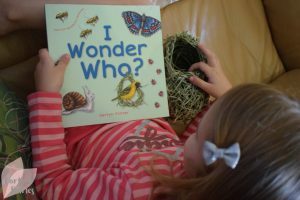 Her third book is titled I Wonder Who?, and combines three things children love – animals, guessing, and asking questions. All three titles are available from bookstores and online retailers at very reasonable prices. Local is lekker, so be sure to support our South African authors! Inspired after reading Kerryn’s three wonderful books, I wanted to find out more about where she gets her ideas from, how she balances being a mom and an author, and if she has any advice for readers who would like to write a book. Find out the answers to these questions and more in the interview below, and stay tuned for an awesome competition where you can win copies of Kerryn’s books. I always had the idea to write children’s books in the back of my mind. Once I had become a stay-at-home mom, I decided that it would be nice to write a book for my boys who were two years old and two months old at the time. One rare afternoon when both of them were napping at the same time, I decided to use the time to start. My only intention initially was to write and illustrate one copy to read to them. I ended up sending my story to a well-known publisher as a friend had mentioned that she had sent her story in. Much to my surprise they accepted it favourably and decided to publish it. Since then, I have been writing and illustrating on and off in between caring for my two eldest boys and their new baby brother. I’m currently working on my fourth and fifth children’s books. Where did you get your ideas for your books from? and how much did your children inspire your writing? My first book was inspired by a photo I came across online of an angry looking owl. I just knew I had to paint it. Halfway through the painting I almost crumpled it up because it wasn’t turning out as I had hoped, but I’m glad I didn’t because it was right there when I was looking for a character for my book. It can be seen on the first page of my first book. I think that’s key for anyone in the creative field, you have to keep playing around with ideas even when you aren’t working on a specific project. My children still inspire my writing more than anything else. 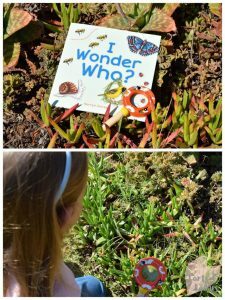 My third book, ‘I Wonder Who?’, came about because my eldest son spent hours in the garden holding snails and ladybugs and talking to bees. 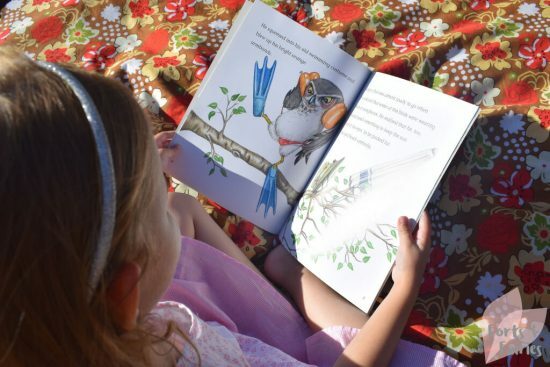 He seemed to have never-ending questions about the little creatures he came across so I wanted to create a specifically South African book that included some creatures we come across in our gardens, making it easier to discuss the unique qualities of each one with our children. You are also the illustrator of your books, do your children enjoy your characters and your illustrations? Children are so honest so I always pitch my ideas to them first. Thankfully they love Angry Owl. It’s often the first book they pull off the shelf. My middle son who has just turned three, loves pointing out all the things Angry Owl takes along to the beach and my four year old loves how grumpy he is and how he gets hit with lightning and hail… and the baby loves to chew the book. There’s something for everyone here. You have three children, three boys, how do you balance being an author and artist with being a mom? I have to say no a lot: to talks, collaborations, school visits and commissions. CS Lewis once said, “The homemaker has the ultimate career. All other careers exist for one purpose only – and that is to support the ultimate career.” Being a good wife and mother will always be my main priority. I spend much more time looking for ways to be a better wife and mom than I do trying to improve my artistic skills. My house is crazy at this stage of my life, endless snacks, endless nappies, endless laundry, endless crying, endless things to trip over, endless snot, dishes, shopping trips, all of which requires endless patience (which I sometimes don’t have), but I know one day it will all end and I will look back and be glad that I made this my priority. Some days I have only thirty minutes to work while the baby naps and the other two are at pre-school, but so far it has been working for us. How old are your children – do they understand yet that Mom wrote this book, and how do they feel about that? Harlen is four and a half (it’s very important to mention the half at this stage), Jude has just turned three and baby Levi is five months old. I have done a few book readings at their pre-school, and they know their mommy wrote it and drew the pictures, but I don’t think they care much to be honest. Perhaps later in life they will feel a little proud of their mom, and hopefully they will still have a few copies lying around for their own children. Are you working on your next title yet, and can you give us any hints? Will we be hearing more from Angry Owl? Yes! I have painted Angry Owl at least fifty times and I still enjoy him so much. You can expect to see him again this year. What advice would you give to South African readers who would like to write a book and be published? Thanks to Kerryn for taking the time to chat with me, we can’t wait to hear more about your new books soon! Love this! So inspired! I have a love and obsession with children’s books!